Brian Kelly is a statistician on the Born in Bradford study. Brian joined the project in 2014, after completing a PhD in Social Statistics at the University of Manchester. Prior to this Brian worked for around twenty years conducting population and survey research for a number of local authorities in the north of England. 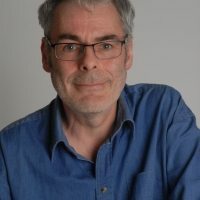 He has an interest in spatial inequalities and health outcomes; and also with methodological issues relating to longitudinal data, multilevel analysis and statistical inference. Brian works within the data and research team, with a particular focus on developing routine health data linkage and analysis. The scope and ambition of BiB and being part of a project that aims to make tangible improvements in the quality of life for Bradford children. Starsky and Hutch Matchbox car. So many things; so little time.